The official Miami FC Home Jersey for the 2019 season. Miami FC official design by Macron. 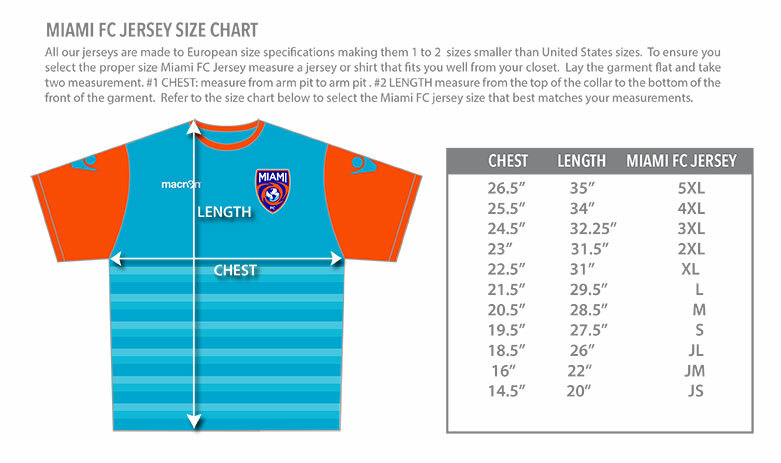 The Miami FC 2019 Home Jersey features an aqua body and traditional collar with orange sleeves.